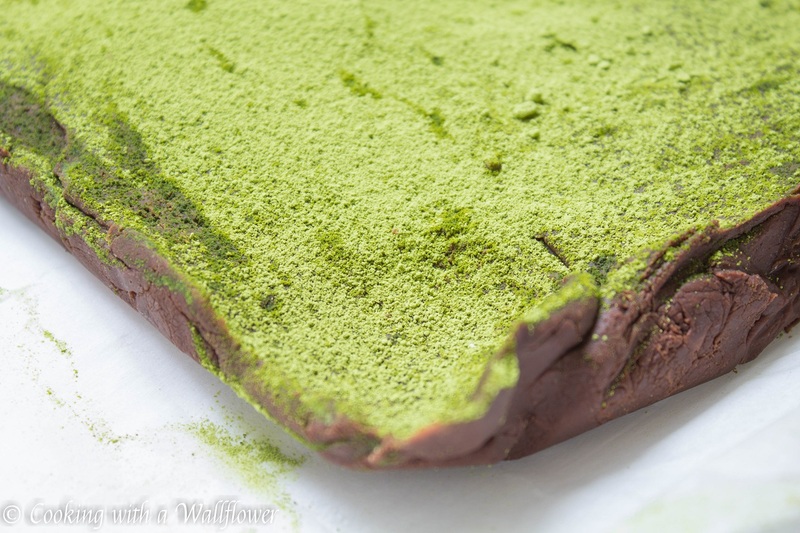 Two ingredient chocolate fudge topped with matcha powder. 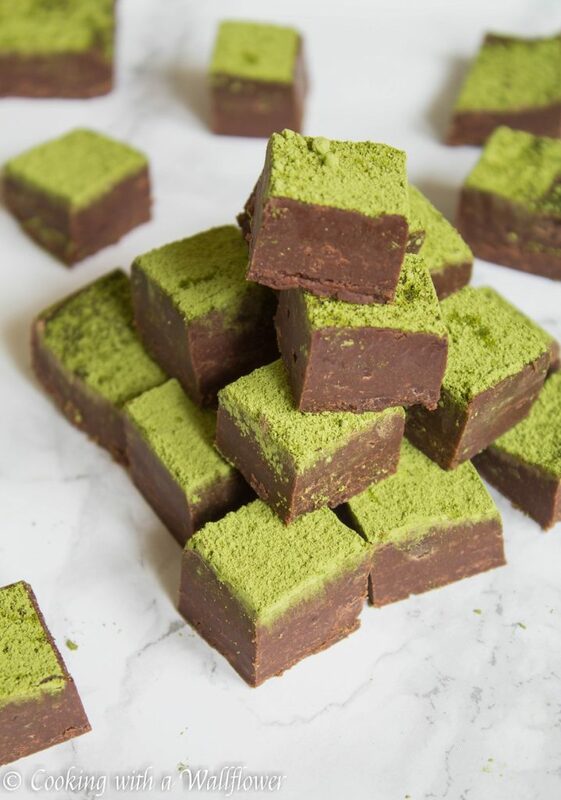 This matcha green tea chocolate fudge is perfect as a treat and as a gift. It’s Wednesday! So I figured we’re all going to need a little pick me up to get us through the rest of the week. 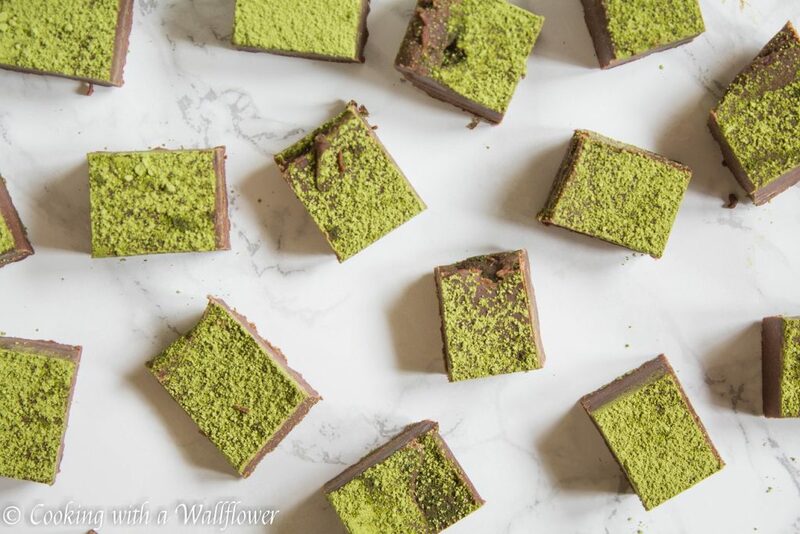 What better treat than this matcha green tea chocolate fudge? Each melt in your mouth bite of this fudge is filled with semi sweet chocolate and the slight bitterness of matcha green tea. What I love most is that the matcha powder balances out the sweetness of the fudge. 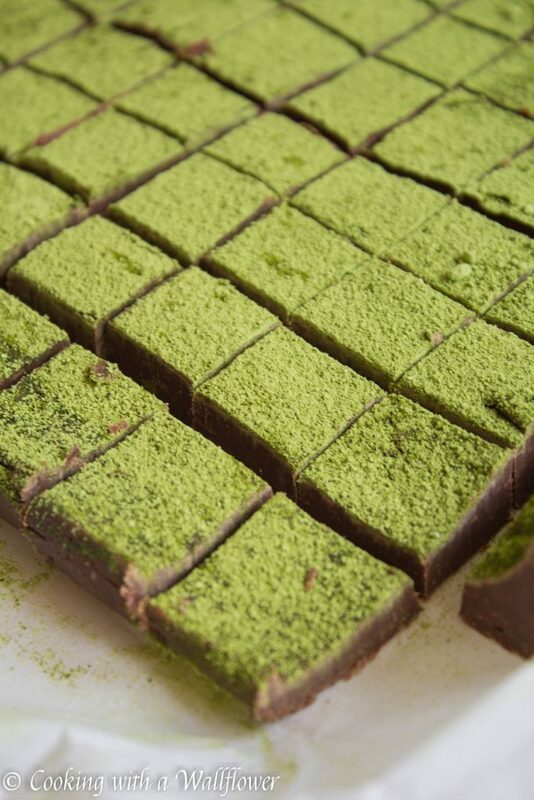 You still get the matcha green tea taste, but it doesn’t overpower or overwhelm the chocolate. So if you’re a fan of both chocolate and matcha green tea, then this is definitely the perfect sweet treat for you. Line a 9×9 inch baking pan with parchment paper. Lightly grease the bottom of the parchment paper with nonstick cooking spray to make it easier to remove the fudge later. In a small pot, add semi sweet chocolate and condensed milk over medium heat. 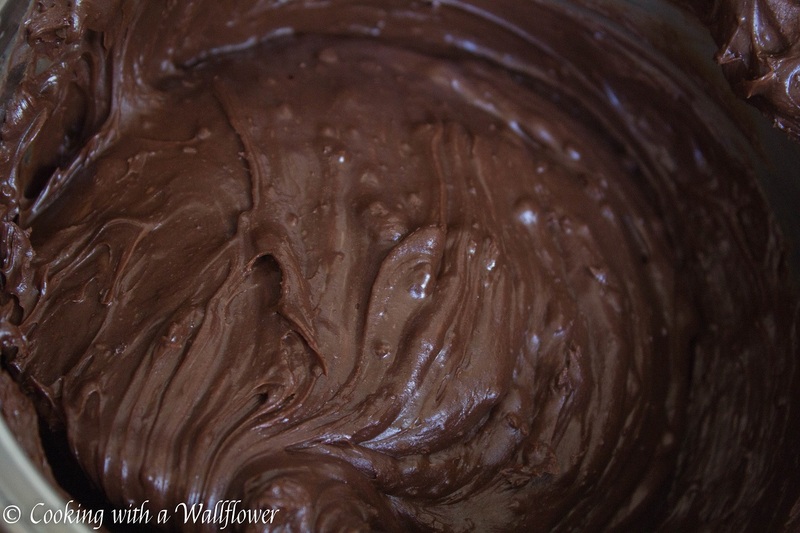 Stir constantly until the chocolate has completely melted. Make sure to stir constantly so that the chocolate doesn’t burn. 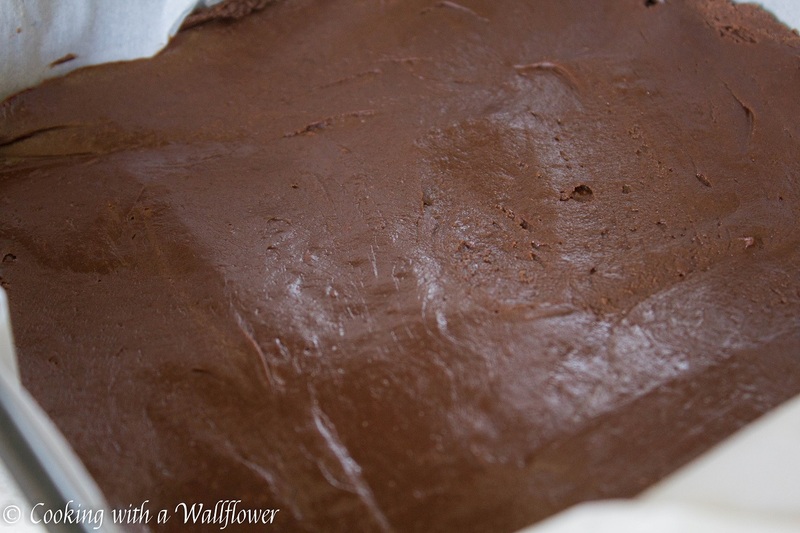 Pour the melted chocolate into the baking pan. Use a spatula to spread the chocolate evenly. Place matcha powder into a sifter and sprinkle the matcha powder over the fudge. 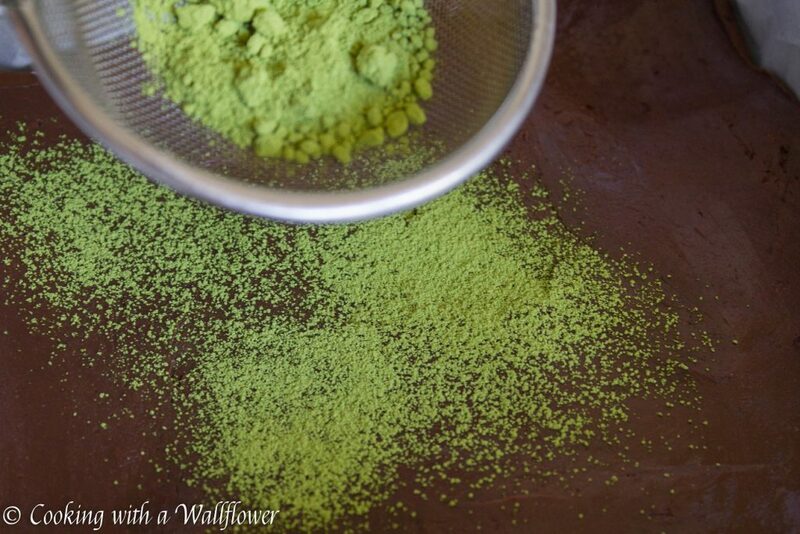 Be generous with the matcha powder. Make sure that all the surfaces are covered in matcha. Refrigerate the fudge for at least 4-5 hours until the fudge has completely solidified. When ready to serve, run a sharp knife through warm or hot water. Dry the knife then cut the fudge into about 64 pieces. Dust more matcha powder over the fudge. 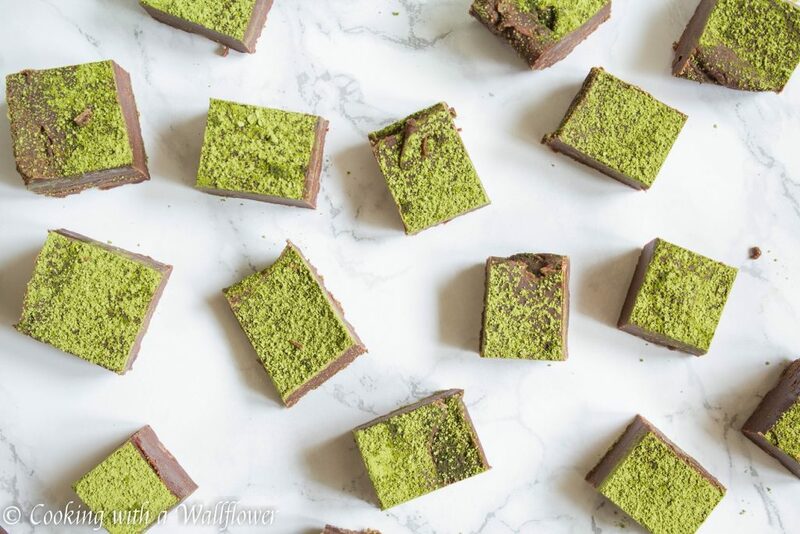 Serve the matcha green tea chocolate fudge at room temperature. 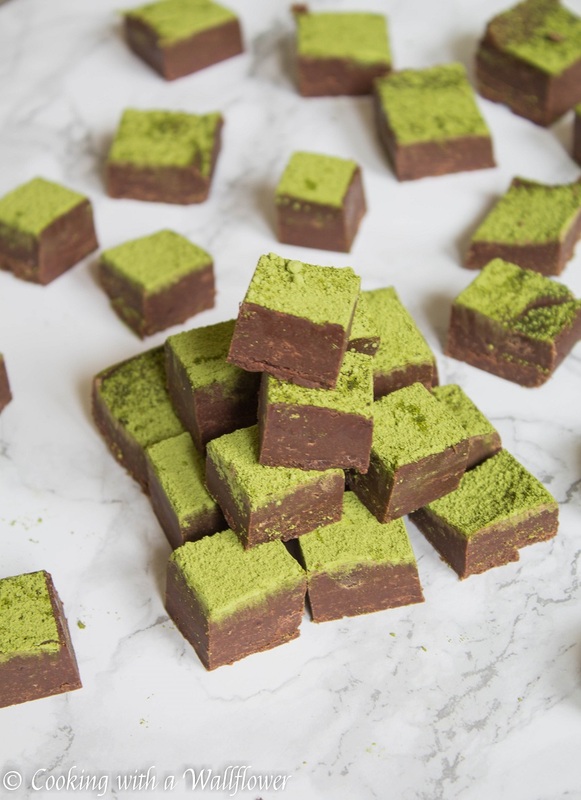 Two ingredient fudge topped with matcha powder. 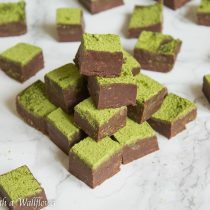 These matcha green tea chocolate fudge is perfect as a treat and as a gift. Line a 9x9 inch baking pan with parchment paper. Lightly grease the bottom of the parchment paper with nonstick cooking spray to make it easier to remove the fudge later. 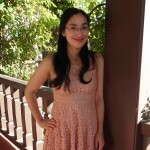 This entry was posted in Chocolate, Desserts, Gluten Free, Quick and Easy, Recipes, Vegetarian and tagged chocolate, dessert, fudge, matcha, matcha fudge, matcha green tea, quick and easy, vegetarian. The colour contrast is just stunning – and I can imagine the slight bitterness of matcha is perfect against the super-sweetness of fudge. Very beautiful.